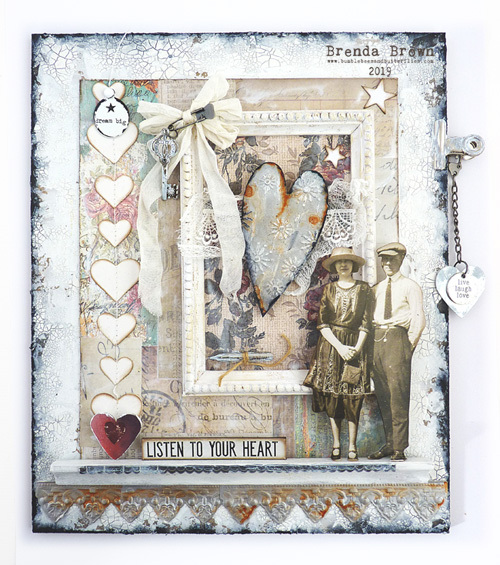 Hi everyone x It's Annie here with our February challenge here at A Vintage Journey, which is "Your Hearts Desire". 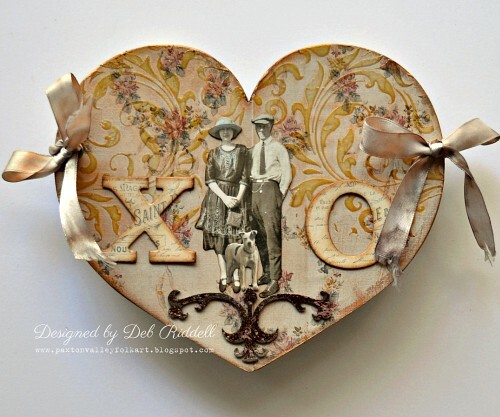 Since February is the month of love, we would like you to include hearts as the 'main' focus of your project. 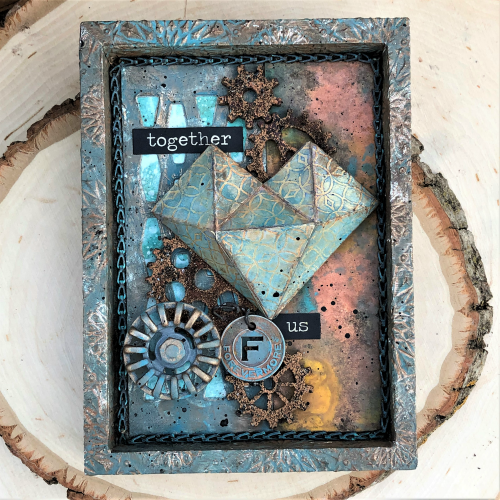 Just be sure your design is in keeping with our vintage, shabby, mixed media, art journaling, industrial, timeworn or steampunk styles that we prefer. We can't wait to see what you create with your craft stash and our Linky tool at the bottom of the post will be open until the 28th February, so get creative and join in the fun. In the mean time, check out the projects below that the Creative Guides have made to inspire you, enjoy! 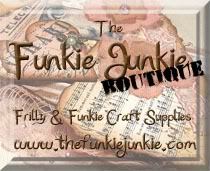 It's that time of year when we are tempted with lot's of new products! 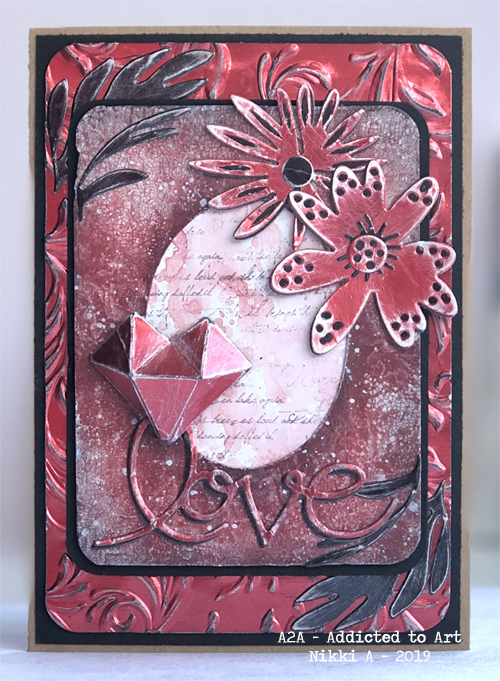 I have used Tim Holtz's new Faceted Heart die along with the new large Funky Florals for this Valentines card. Do pop over to Addicted to Art to see the details. 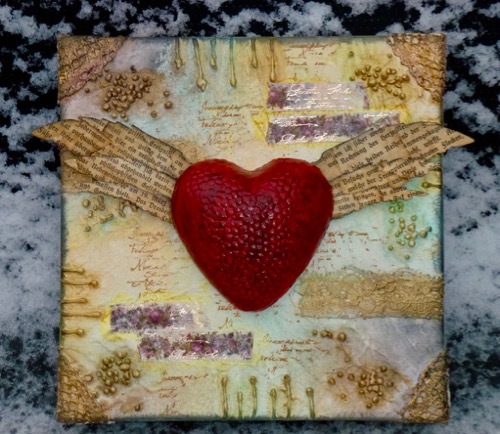 With Valentine's Day just around the corner I decided to take inspiration from Annie's February challenge to make a little heart shaped mini album to gift to my sweetheart. 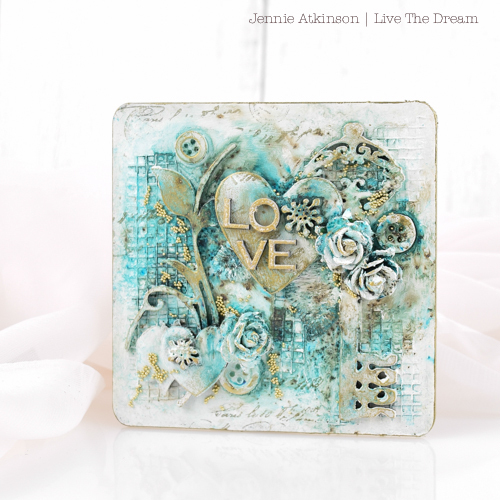 I've some step out photos of how I constructed the album along with some close up pictures of the pages inside, hope you can pop by my blog for a little heartfelt inspiration! Inspiration has been a bit thin on the ground here in the craft room since the New Year, so I decided to turn Annie's lovely challenge on it's head and created with all the things that in the past have been MY hearts desire! 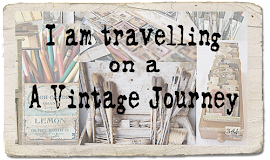 Please do join me over on my blog for more details. I made a little steampunk vignette to give to my husband for Valentine's Day. I have a mini tutorial on my blog if you would like to learn how I used the Kaleidoscope Texture Fade to add texture and color to the frame. Lots of amazing insiration from the Creative Guides and we can't wait to see what you create. 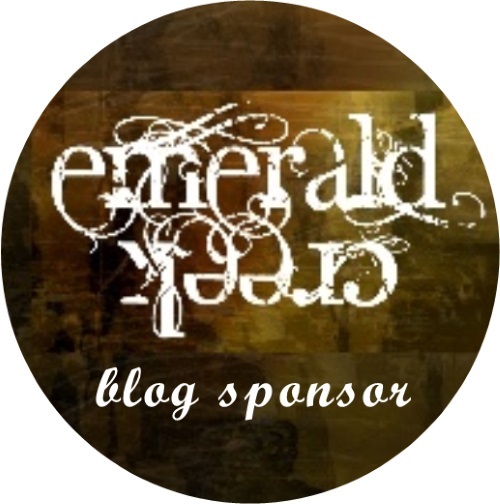 As mentioned above the challenge runs from 1st February until 28th February at 18:00 hours and you have a chance to receive one of our Blog Badges if you are chosen as one of our Top 3 Pinworthies. They are all gorgeous. What talent you all have. Lovely designs everyone, look forward to seeing all the details! Fabulous Projects , Ladies as always . Really sorry I wasn't able to contribute this time . Fabulous inspiration! I can't wait to get around to all your blogs to see them up close! Fantastic inspiration for a lovely theme - looking forward to seeing them all in more detail. Fabulous creations and thank you for the wonderful inspiration x.
Holy goodness guys!! Love them all! Totally up my ally! So glad I found this blog! Thank you for all the inspiration ladies! Gorgeous creations from the design team!